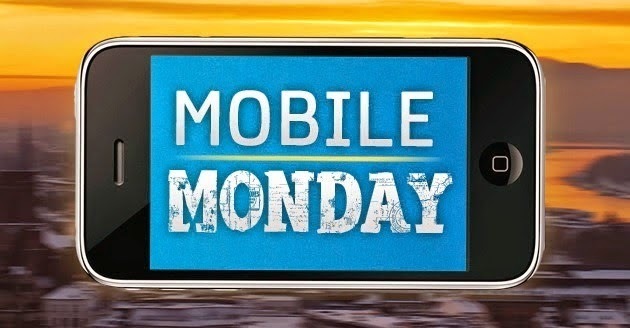 Randomness with Rachel: Mobile Monday Weekend Update! You would think having a four-day weekend with basically nothing to do, I would have updated my blog at least once during that time. But no, I was lazy. Okay, I was binge watching Castle. How come I never watched this show before?? I love it. I'm now on season 3. Anyways. 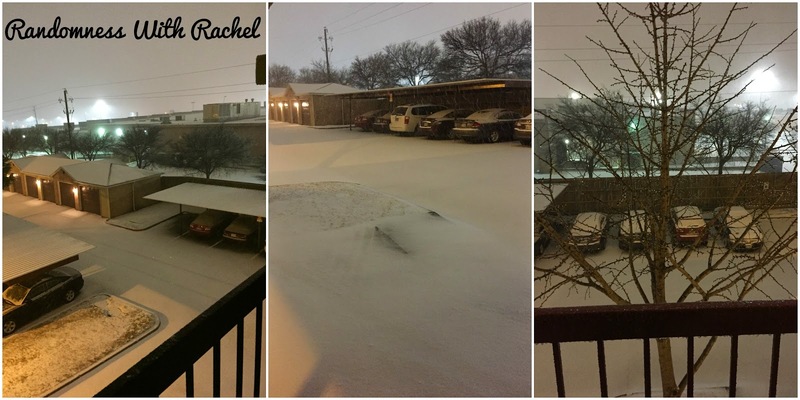 Wednesday night/Thursday morning Dallas got another round of snow. It started about 11 on Wednesday night and it snowed pretty hard for about five hours or so. Originally my office was going to have a noon opening on Thursday, but about 8:45 that morning, I got a text that we were going to be closed for the day. I had already requested Friday off, so that gave me a four-day weekend (weehoo). I will shamefully admit that I pretty much stayed in bed Thursday and Friday, either reading, or watching Castle. I will also admit that about midnight on Wednesday I went outside to take pictures (because that is what Texans do when it snows). Thursday morning I woke up (thinking I would eventually have to go into work later that day), and went outside to get a few daylight pictures. It was a beautiful, sunny day. We hadn't seen the sun in like 10 days at this point, so it was a welcomed sight. The sun probably helped melt a lot of the snow and ice, because by the early evening, it was all pretty much gone. The top picture was taken about 8:30 a.m. 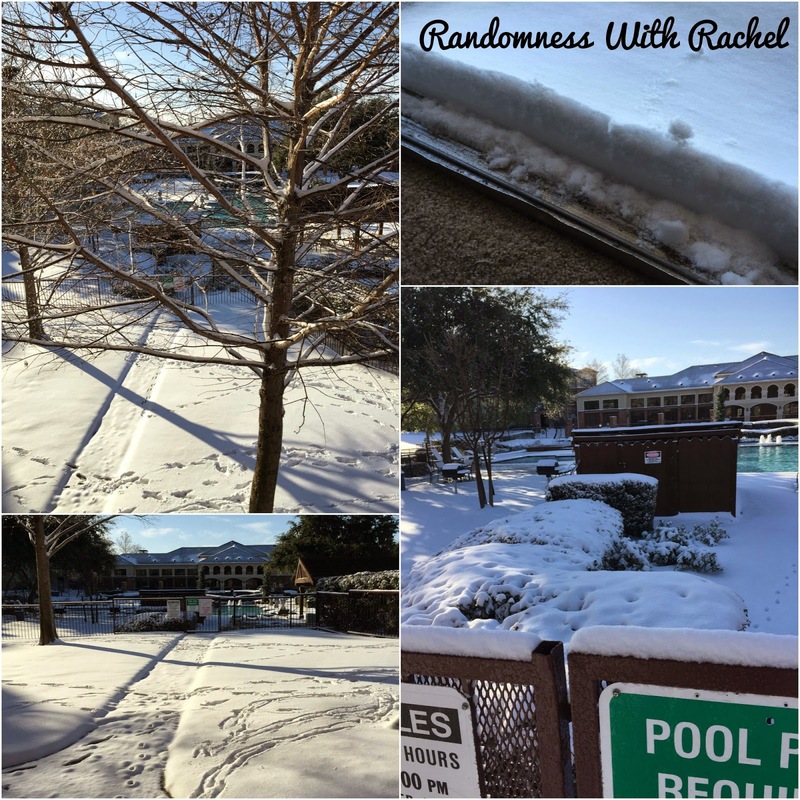 The bottom picture was taken about 4:30 p.m. Amazing what the sun and temperatures above freezing can do! Saturday I was forced dragged against my will convinced to take a break from my Castle marathon (and actually put on real clothes) to meet up for a Rangers Spring Training watch party. I'm going to skip over the ugly part of the weekend which involved the bad news we got about Rangers pitcher Yu Darvish. I don't want to talk about it, I still want to try and be positive about this season. If you really want to know, you can Google it. After the Rangers meet up, I hung out with my sweet friends Matt and Anna (and their adorable pups!) Last week I did a post about a dog named Rusty (please click here if you missed that). I finally got to hang out with Rusty on Saturday night! I'm pretty sure we are new BFFs. He pretty much stayed by my side the whole night. I will shamefully admit (again) that Sunday afternoon I returned to my Castle marathon. I wonder what life is like for normal people who take their time watching TV shows online? Lol. I've never watched Castle but maybe I should!